Finishing: Polish, Brush, Mirror Polish, etc. We are manufacturer, supplier & exporter of vast variety of forged turned parts. These parts are designed and made to perfection under the guidance of sedulous professionals. Also, we employee Advanced Techniques, While manufacturing these products. The clients can avail those products in variety of dimensions, grades and specifications. We offer the total CNC turning and CNC machined component solution for all your requirements. Generally starting from help with designing, through proving stage taking on board customer needs. We then end with the finished turned component. - Used in handles, marine parts, engine parts, cooking utensils, medical devices and in hospital instruments. 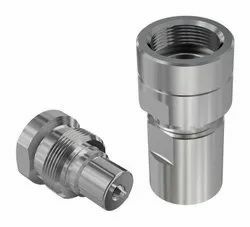 Backed by rich industry experience and market understanding, we are involved in offering a wide array of Stainless Steel CNC Turning Parts to our valued patrons. Equipment: CNC precision/automatic lathe, milling/wire cutting machine etc. 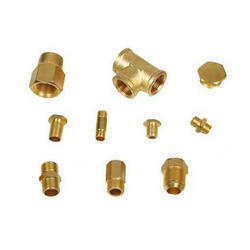 Product Description: With the extensive knowledge and experience in this respective domain, we are engaged in manufacturing and supplying the best quality assortment of Steel Turned Parts. Different types of stainless steel parts are available.